Ultrasound-guided venous access has become a core skill for both emergency medicine providers, and nursing staff, to help facilitate difficult access. While clinical experience is critical to learning this technique, phantoms are also a necessary component, specifically with regards to developing both fine-motor skills and spatial orientation. In this post, we provide a step-by-step guide to creating a high-quality, affordable, phantom that can be used for educational purposes at large conferences or for small group training sessions. 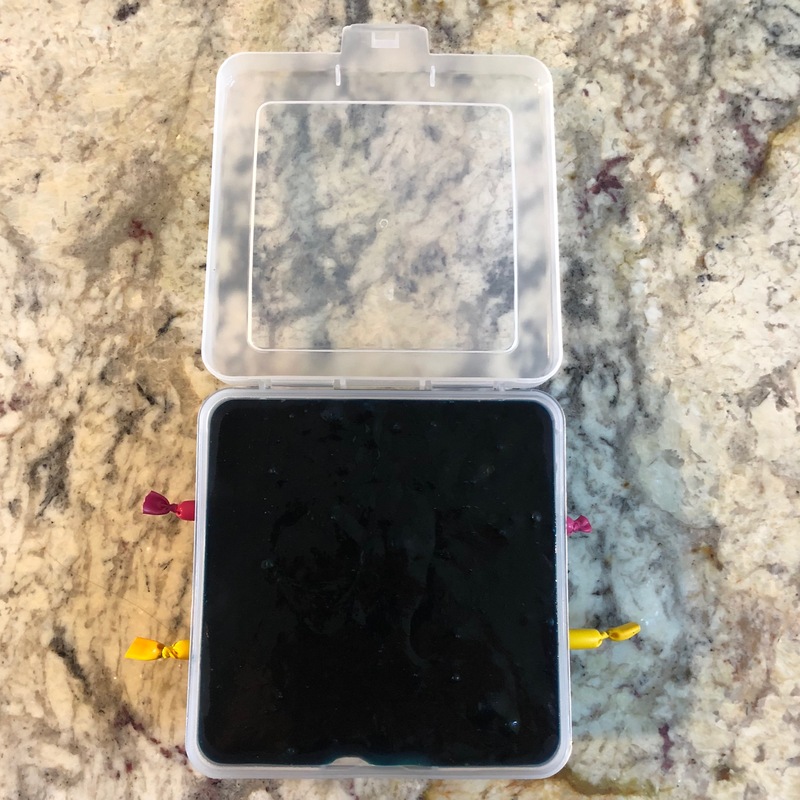 We chose the above container because it only requires 500 ml of gelatin mixture, it is plastic (which allows us to cut into it), and it has a lid which allows for easy transport and keeps the phantom fresh. 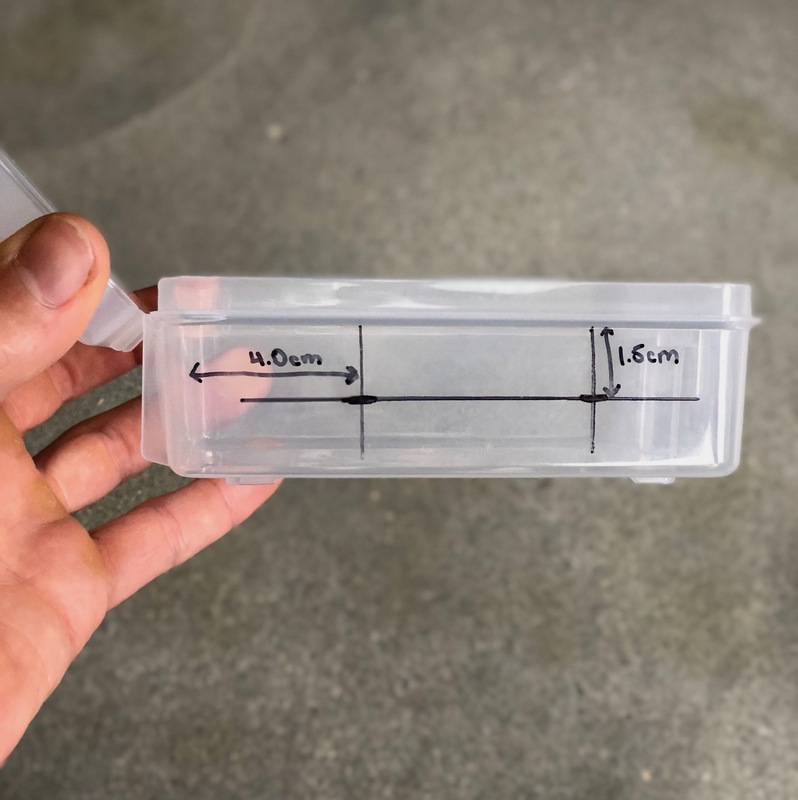 What you will be doing is creating small slits in the sides of the container to allow for the vessels to "float" and avoid having to pour gelatin in two steps which is both time consuming and messy. I like to place the vessels 1.5 cm below the surface of the gelatin mold. Using the thick plastic line near the opening of the box, measure 1.5 cm down from here. 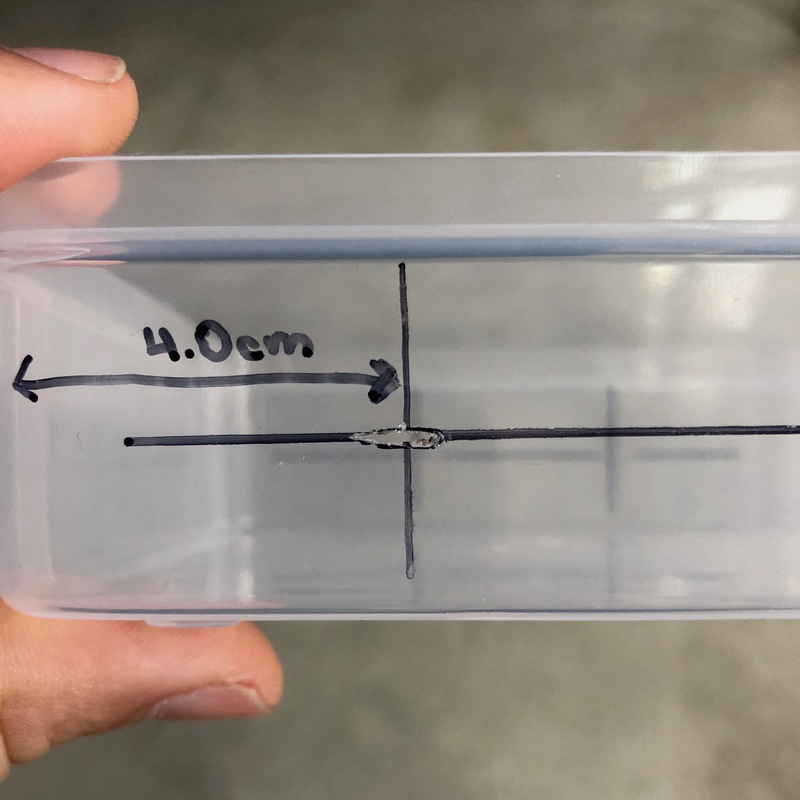 Measure 4 cm from each side of the box and connect everything with lines. The areas that cross will be where your vessels will go. Repeat this process on opposite side. Now it's time to make small cuts in the plastic container which will allow the vessels to "float." I sit by the stove when doing this and turn on vent above to prevent significant inhalation of burning plastic fumes. 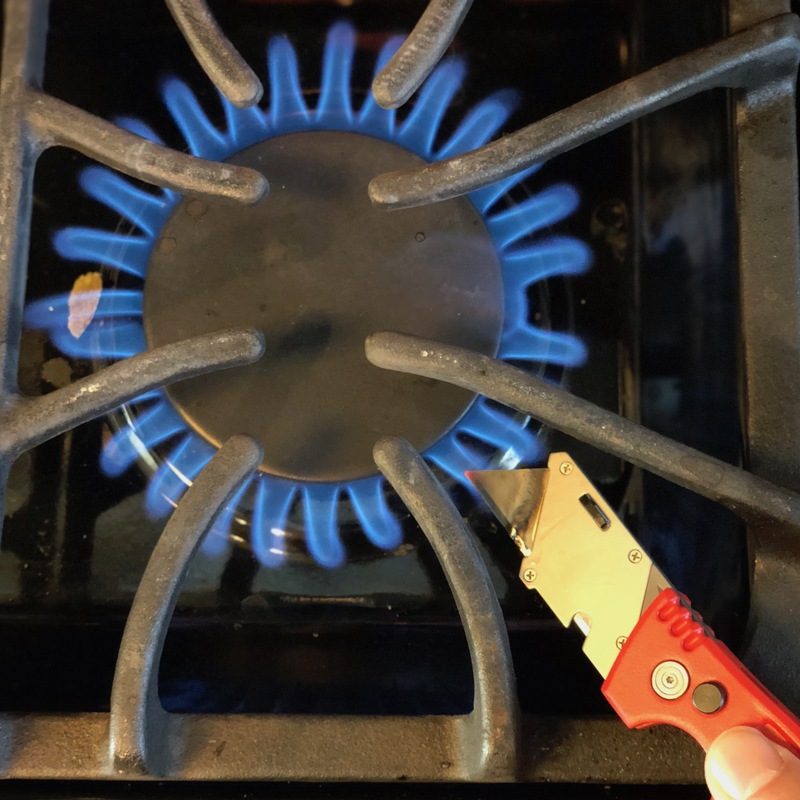 Hold the tip of sharp knife or razor knife directly in flame until it turns red. Then quickly push knife into plastic at each line intersection, making approximately a 7-8 mm slit. You may have to re-heat knife between punctures. Your container is now ready to be used, onto creation of your vessels. 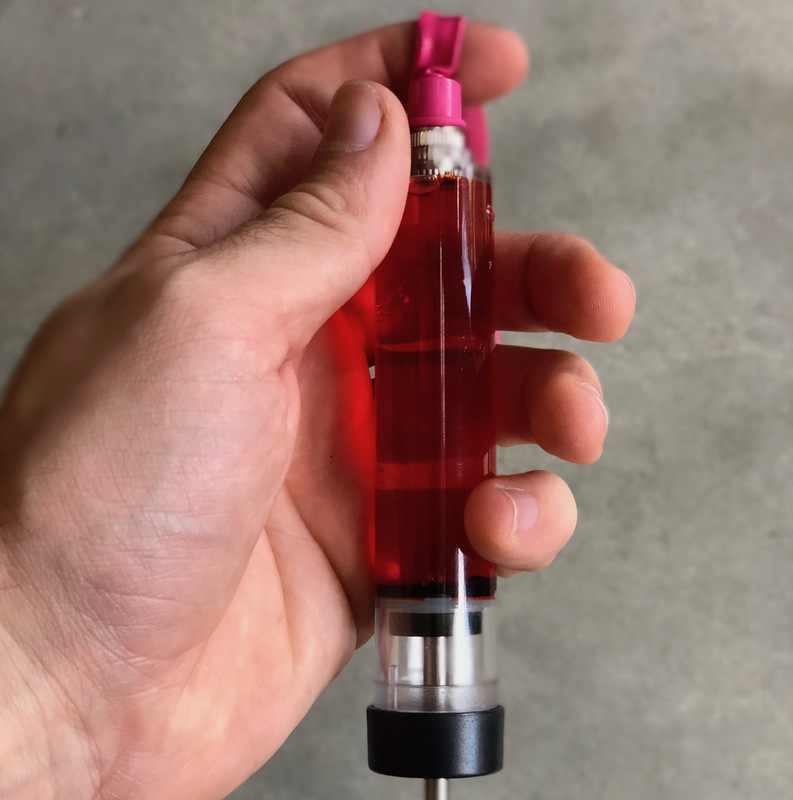 The red food coloring adds an extra element to your phantom by making the "flash" in the angio-catheter chamber visible. Fill your syringe with colored water and inject into balloon until it is plump. Next, make sure to get all the air out of the balloon that may have become trapped by holding the balloon vertical, allowing the air to rise to the top, and then tying this off. 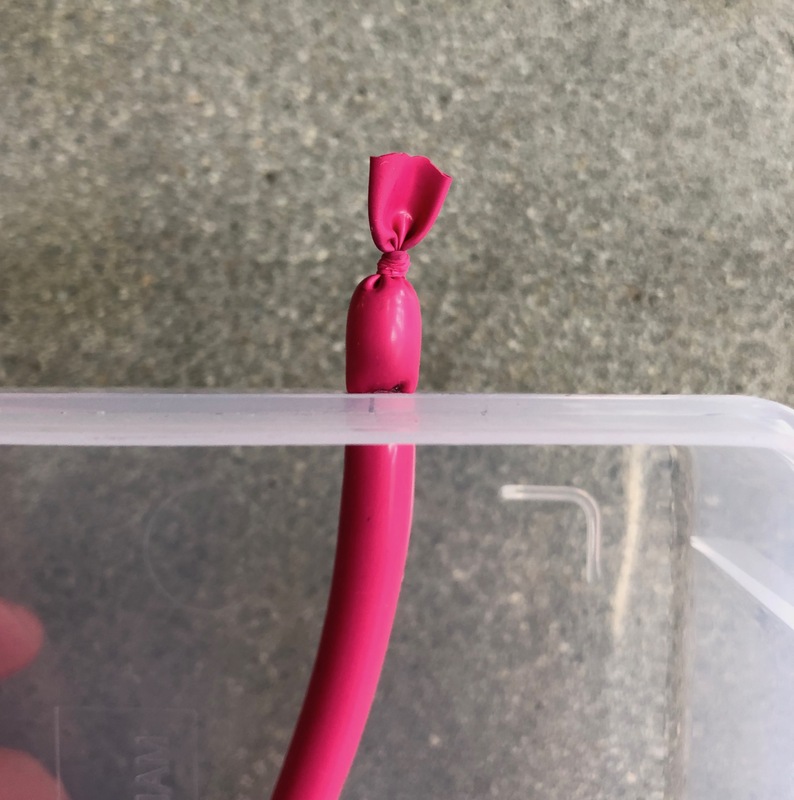 Continue to tie off the ends of the balloon and trim down with scissors until the vessel is just longer than the width of your container. 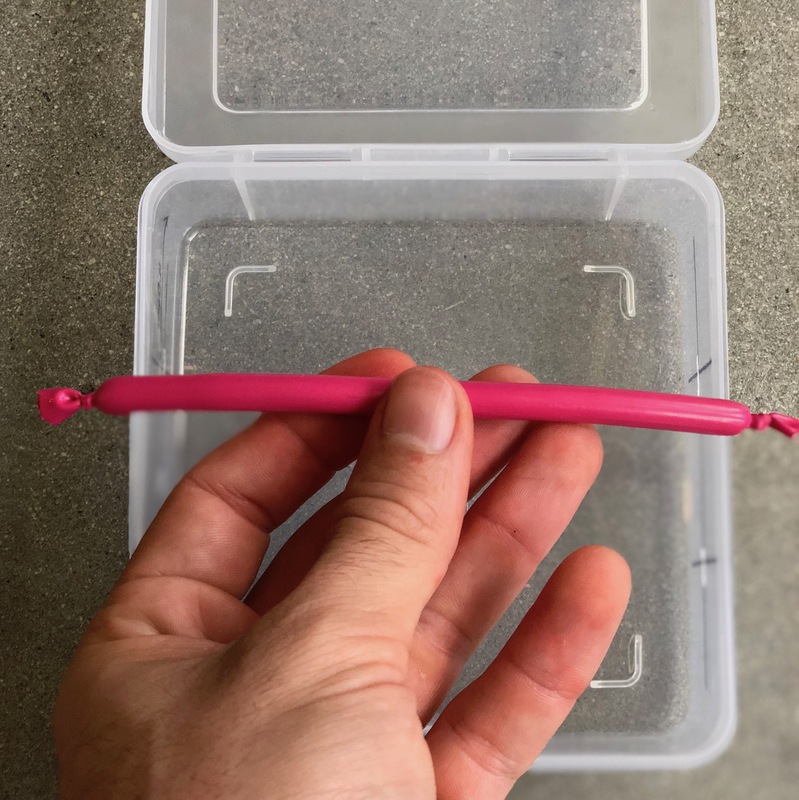 Make sure to leave around 1 cm of balloon on each side of your knots as you will need this to pull the vessels through the slits in the container. Take each balloon vessel and thread the ends through the slits in your container. Note as shown in the image that the knot will get caught up on the slit. I use the end of my scissors to pry open the slit slightly, allowing the knot to be pulled through with a little bit of force. 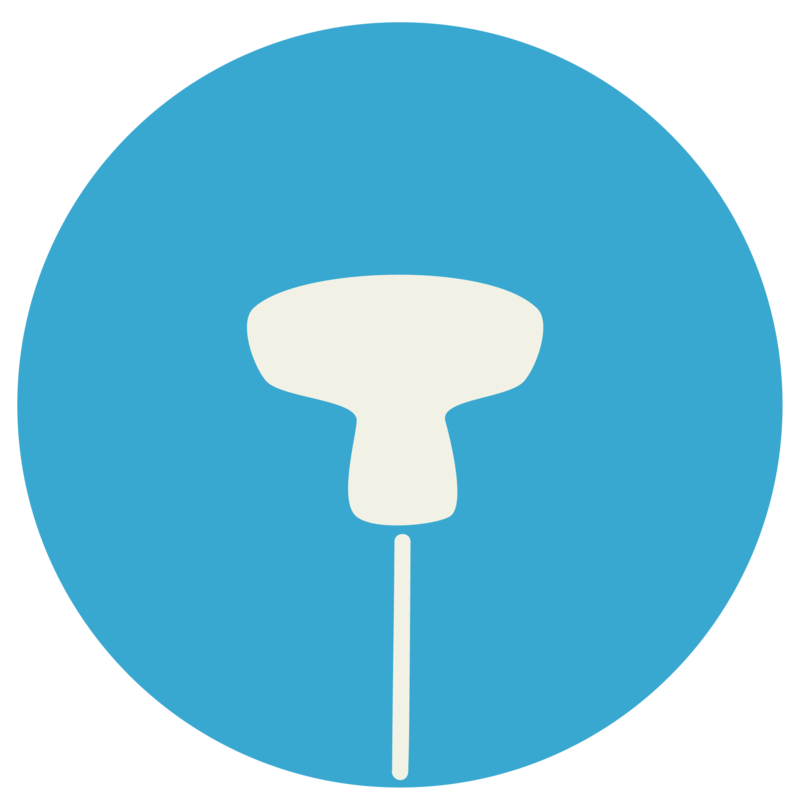 Once the knot is through, pull the balloon vessel out about 1 cm. This will allow the container to "auto-seal." so you do not have to worry about leaking when pouring in the gelatin mold. This is the hardest step in constructing your phantom so do not be dissuaded if it takes you a few tries. Heat up the water in a large pot until it just begins to boil. At this point turn down heat so that water stays warm but is not bubbling. Too much heat will cause the mixture to froth and overflow. Now add your ingredients, I do the gelatin first as this is the most difficult. It is critical to whisk the water the entire time while adding the gelatin slowly. If you dump the gelatin in all at once, it will form large clumps and ruin your phantom. I would also follow this same technique when adding the other ingredients. Once all ingredients have been well combined and your mixture has thickened you are ready to pour your gelatin mold into your container. Pour gelatin mold into your container, up to the thick plastic line. Allow the mold to cool for 10-15 minutes, then close lid and place in the fridge overnight to set. The next day your mold will be ready to use! - The gelatin mold should be chilled until just prior to use to keep it firm; clean surface with water after use, pat completely dry, and store back in fridge to increase longevity. - To optimize movement of probe along the surface of gelatin mold, be sure to apply a generous quantity to the surface. 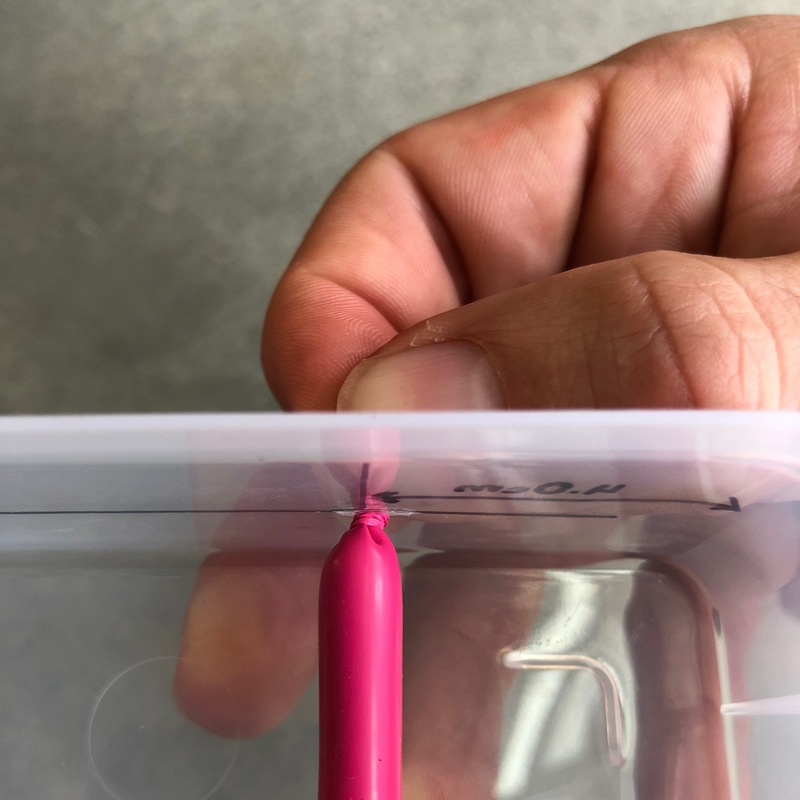 - If you notice the balloons appear flat after multiple cannulations, you can refill by directly accessing them through the gelatin under ultrasound guidance and injecting slowly until they appear plump again (do not over pressurize or you may damage the phantom or cause a leak). We haven’t tried it yet but we wanted a cheap solution that could be made in one step from products purchased online and is easily scalable. 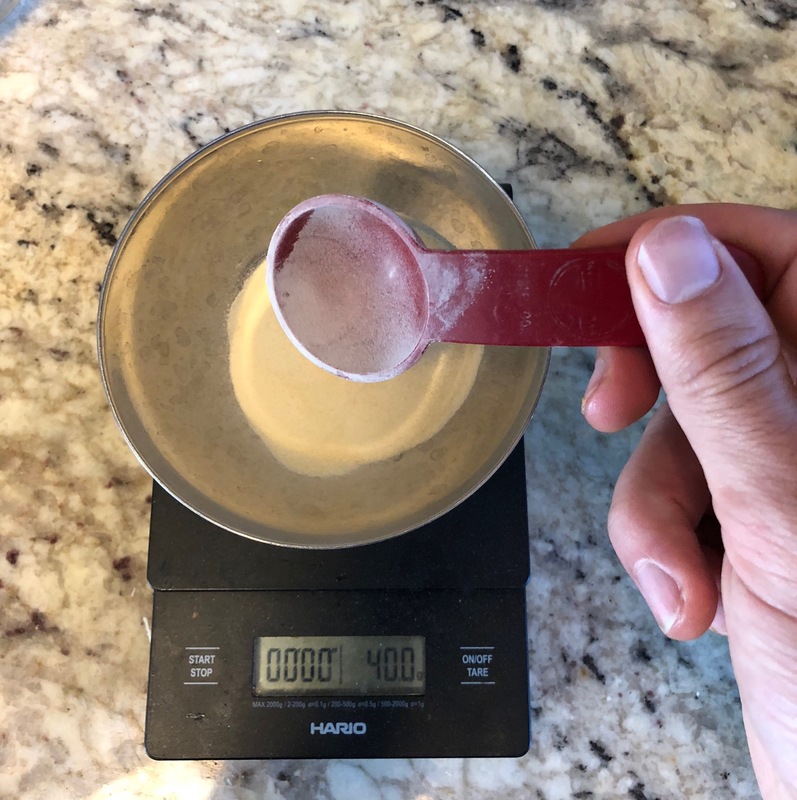 Ballistic gel is a bit expensive and I’m not sure if it adds a lot for small models other than the fact that it can be melted back down. Thank you for reading! What is the purpose of the citric acid? The citric acid is a preserving agent so it will allow your mold to last for up to 2 weeks! If you plan on using the mold for a single session you probably don’t need it. Love this guide! 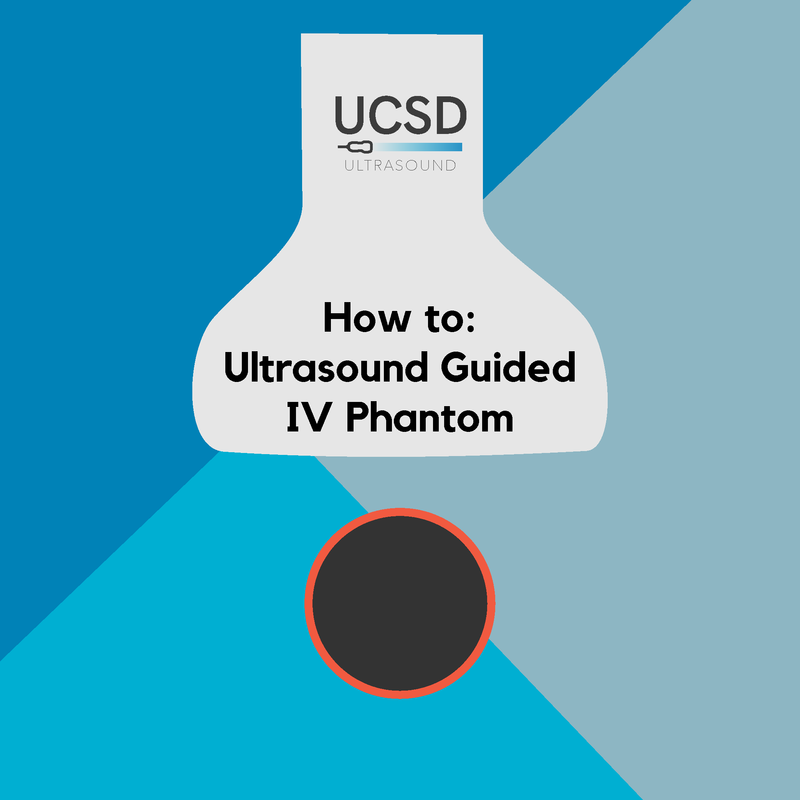 We are a Norwegian ultrasound group that tried this phantom for our POCUS-course for medical students. It worked great. We just want to share some experiences from making them. 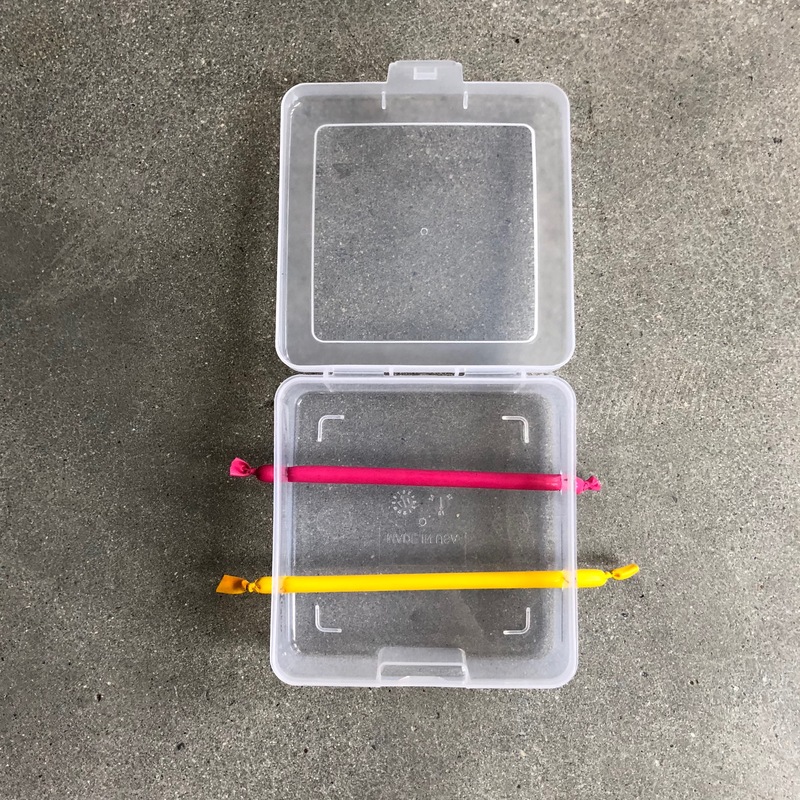 – Firstly we made a few of them a few weeks before the course and found out that they mold up quite fast, I think they lasted 2-3 days before we were beginning to see mold. Luckily we could just scrape the mold off and heat the gel to melt it again. We also noticed that the second time we melted them down it was much easier to get rid of the bubbles. Really important to not stir too much when cooking them, that is definitly the easiest way too get bubbles in the phantom. I want to add that we tried to make ballistic gel based on reciepes found on the internet, didn’t work at all. Got a lot of bubbles and hard to make nice. We also noticed that the phantoms got a bit soft and watery after beeing in room temperature for a long time, so when using them for a course it was nice having a cooling bag to put them between sessions. 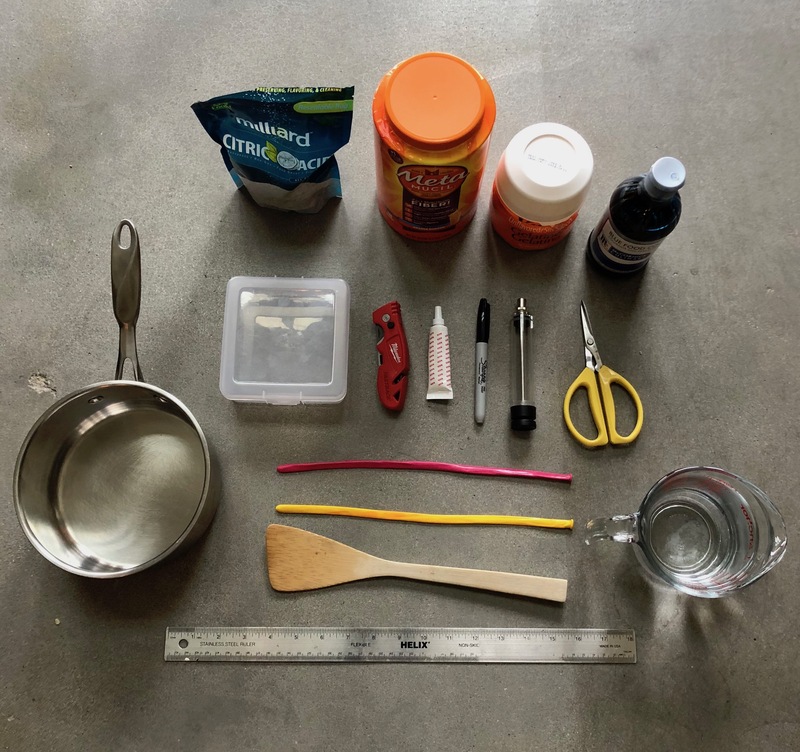 We also tried to make a “mystery box”, where we put different common household objects inside so that the participants could try to guess what was inside. Worked really well, and I think it helps when trying to learn how to make a mental 3D-image from looking at B-mode. Again, thank you so much for this guide. Easy to make, and makes really good phantoms for the fraction of a price for a “proper” model. Olav, Haakon, Charlotte and Eilif. I really appreciate your comment! Very excited to hear how our instructional guide is being put to use! I appreciate the feedback about the mold, I am going to change the post to reflect this. I definitely notice that they soften up quite a bit if out for too long. A 1.5 -2 hour session is probably maximum before then need to be re-chilled. Love the mystery box idea. I remember something similar at SAEM Sonogames a few years back where they used plastic block letters and participants had to use b-mode to determine which letter they were looking at through opaque gelatin mold.